The point of this post is to summarise existing information about banking unions. This is a very vague term that incorporates several concepts. Therefore clarifying this seems quite timely, in light of ongoing discussions. This is briefly described in the table below, which is elaborated upon in the next few lines. 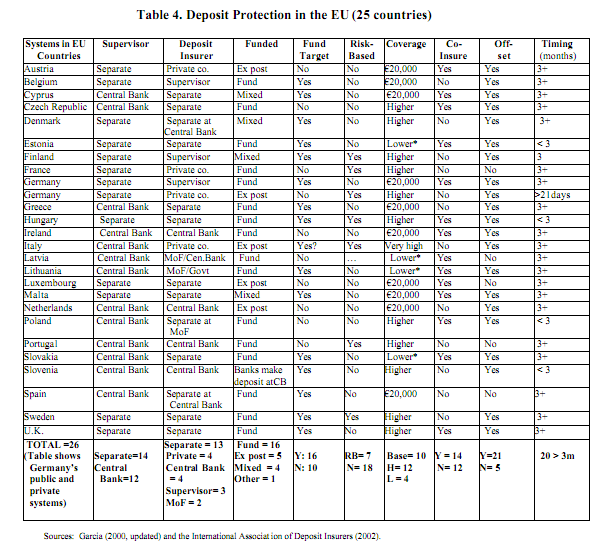 This post is hugely indebted to the Bruegel article “What kind of European banking union?” by Jean Pisani-Ferry, André Sapir, Nicolas Véron, Guntram B. Wolff on 25th June 2012 and on “Banking crisis management in the European Union: Multiple regulators andresolution authorities” by Garcia and Nieto, who had the foresight of researching many of these issues in 2005. Other sources are discussed throughout. … all of which adds up to a very nationalist system..
… that has miserably failed to normalise the financial sector…. 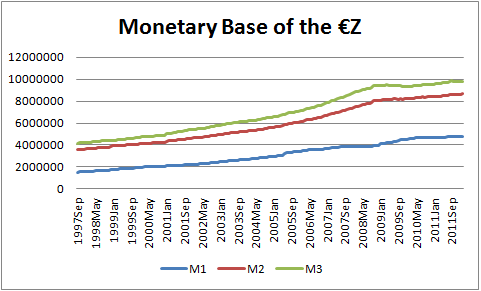 Indeed, the momentum seems to be in favour of the more centralised approach. 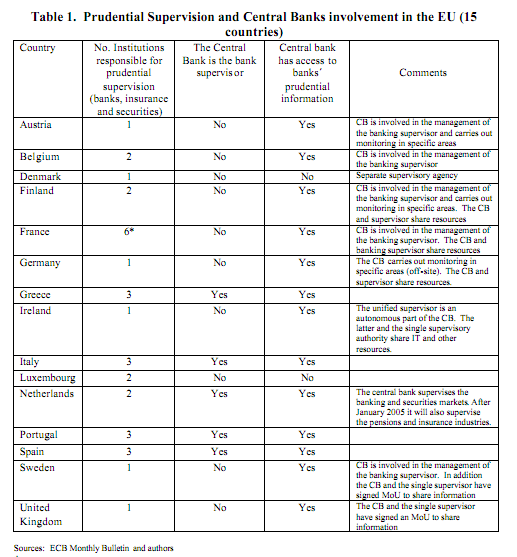 However, German official and banking objections remain… Notwithstanding them, both the IMF and the BIS support this move, as do Canada and the USA. Austrian member of the ECB’s governing council, Ewald Nowotny, has said that it could be implemented by the end of the year, while Praet has provided the sight of an ECB carrot, in the shape of a MRO rate cut, to reward well behaved countries. 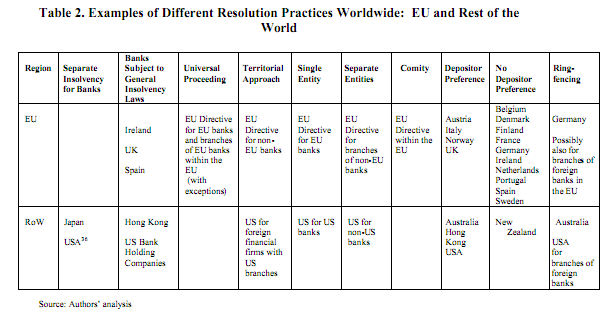 If successful, such a reform would be tantamount to a leap in European integration and could potentially contribute to the resolution of the crisis. For those interested, there are more in-depth discussions of these issues, provided by the World Bank, the UK Parliament, Gros, Shoenmaker and Beck (VoxEU) and Micossi (VoxEU). 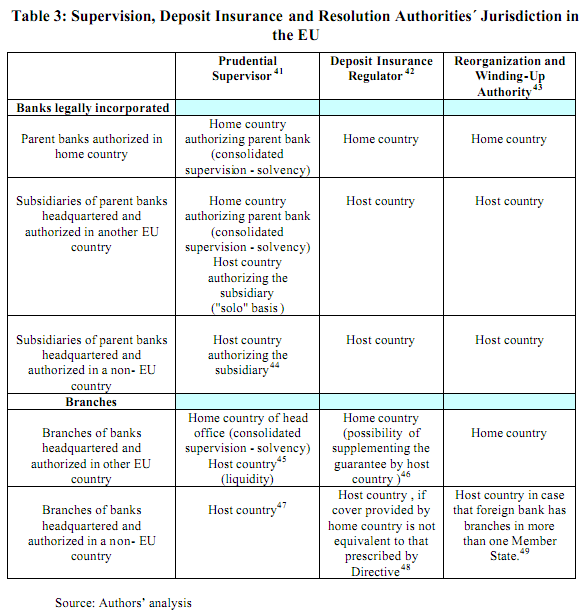 This entry was posted in Banking, Economic Concepts, European Integration and tagged Bank Insolvency Resolution and Restructure System, Bank Insolvency Resolution System, Bank Insolvency Restructure System, BIS, Deposit Guarantee Schemes, Deposit Guarantee Schemes (DGS), DGS, ECB, EU legislation, European Banking Union, European Commission, European Union, Existing EU legislation, Financial markets, Financial Supervision, Germany, IMF, MRO Cut, Nowotny, Praet, Proposed EU legislation, Single Market, UK Parliament, World Bank. Bookmark the permalink.